hd00:30Fast motion clouds, clear blue sky, beautiful summer, sunny nice day, good weather, building, formating fluffy cloudscape in horizon. -FHD. hd00:41Sunny white clouds, blue sky, nature, time lapse. White Clouds & Blue Sky, Flight over clouds, loop-able, cloudscape, day, Full HD, 1920x1080. hd00:10Mediterranean beach, south of Israel. 4k00:35Sunny blue sky, nature white clouds. 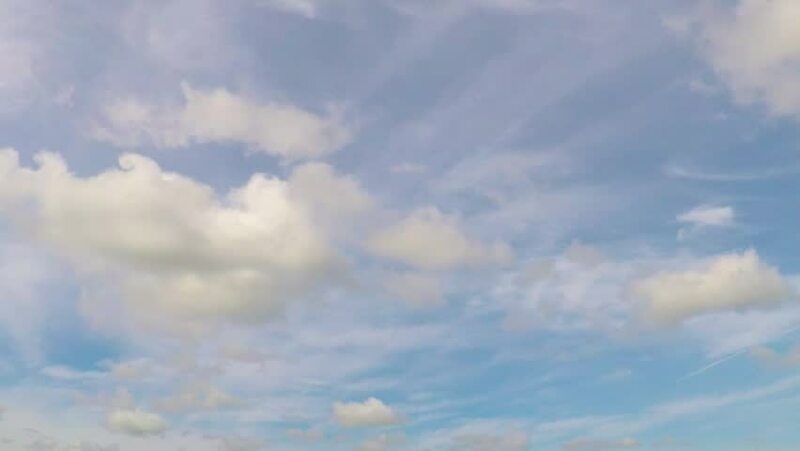 Beautiful cloud flying in blue sky, timelapse.